At Blue Bell School we are proud to offer a curriculum that caters to the individual needs of students. It is innovative, flexible and incorporates the rigor and academic quality that we believe education should strive for. The curriculum aims to develop the 21st century skills of self learning and communication. 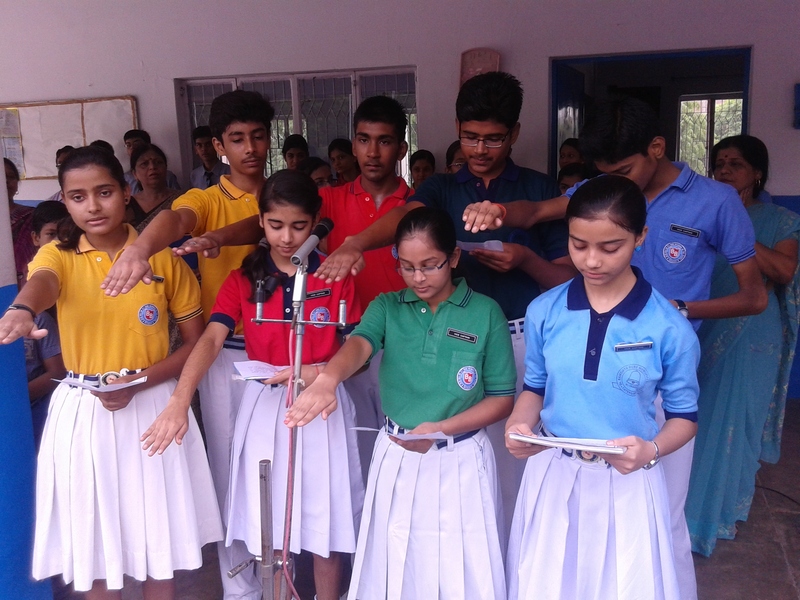 Students enjoy a well rounded educational program that challenges and stimulates them to explore their abilities within a safe learning environment. The Pre- Primary Program for Nursery to Class II offers a stimulating, caring and relaxed atmosphere of hands on experiential learning to develop skills that set them on the road to be great learners. Work and play are nurtured to help children explore their curiosity and make every moment a learning experience. The Primary Program continues to develop skills essential for learning such as the development of thinking, communication, research and self-management. The teachers foster an atmosphere that is personalized and child centered. The project based learning in the primary school inculcates a spirit of enquiry that sets children on the path of self learning. The Middle School Program helps the young adolescent establish his new found independence. The curriculum engages students in critical thinking, problem solving and developing independent opinion. We encourage them to get involved with the community and take action so as to help them grow and become responsible citizens. The Secondary School & Senior Secondary Program supports students identify their potential as they prepare to enter the world of work and responsibility. The curriculum is designed to appreciate and acknowledge students for their creativity, research skills and they grow to be discerning young adults with values and principles that contribute to community and the environment. The house activities are an integral part of the school curriculum. 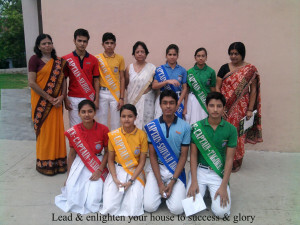 The entire school, including the staff members are divided into four Houses. 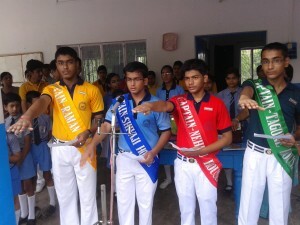 The Houses represent unity in diversity. House events are both sporting and non-sporting. In sport house events take place for all age groups and both genders in: Athletics, Badminton, Basketball, Cricket, Volleyball and Kho-kho. 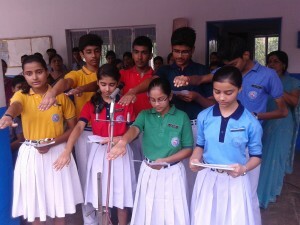 We also hold competitions in: Dancing, Singing, Painting and Quizzes. These events are constantly reviewed and the school is always looking to expand these in the future. 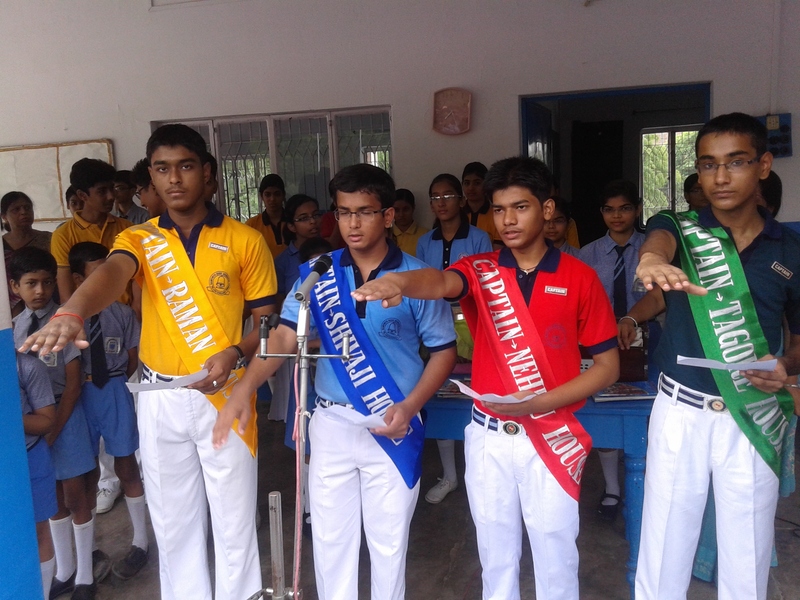 Like in the past, Captains and Vice Captains of various houses were selected for 2014-15 and administered oath for excellence in all fields..